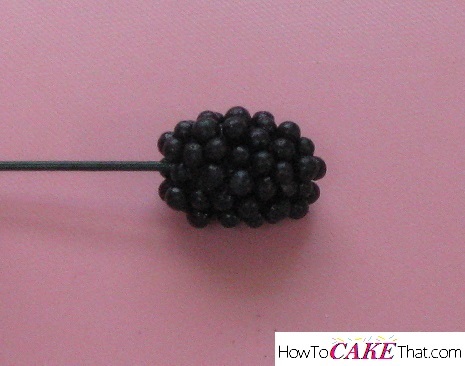 Need to make realistic-looking blackberries for your cake? Learn how to make sugar blackberries that last forever with this super easy tutorial. 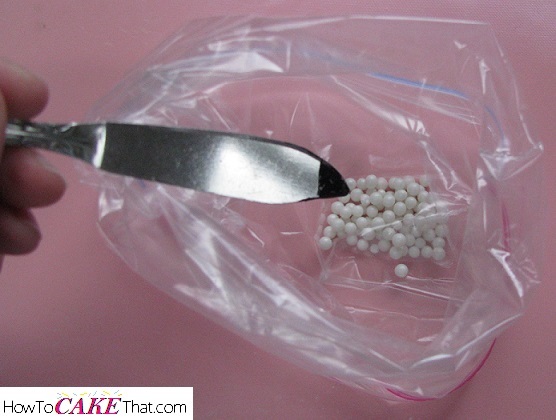 To begin, we will need a plastic disposable baggie and edible sugar pearls. Next, add a dab of black gel food coloring. 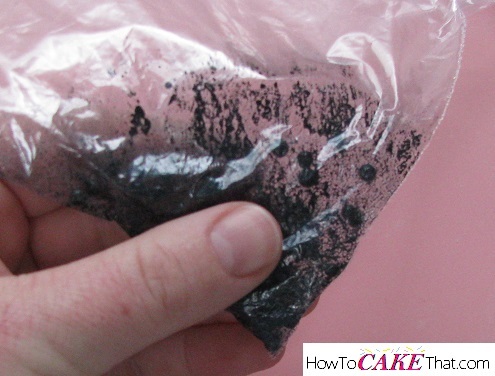 Close the baggie and use your fingers to move the sugar pearls around to completely coat them in the black gel color. 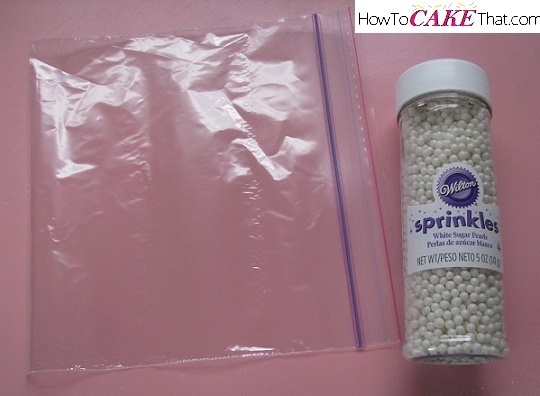 Open the baggie to make sure the pearls are completely covered. Next, pour them out on a plate to dry overnight. The pearls may still be slightly sticky the next day, but that's okay! The next day, it's time to put together the blackberries. Color your gumpaste black with gel color, and use a small amount (eye it up to be slightly smaller than the finished blackberry you'd like). 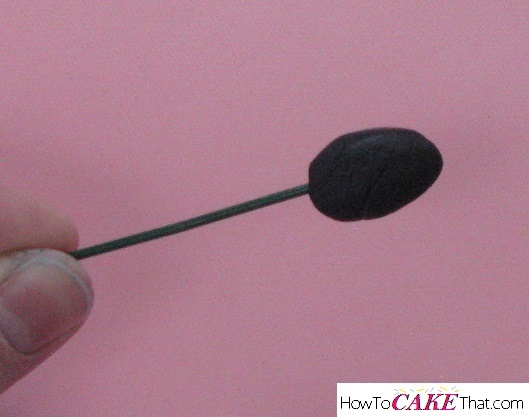 Using a florist wire is optional, but if you choose to use one, place it through one end of your gumpaste. Shape the gumpaste to the general shape of a real blackberry. Brush the gum paste with piping gel. This will be the "glue" that will hold the black sugar pearls in place. Next, gently roll your gumpaste over the sugar pearls to get them to stick. Using your fingers, gently move the sugar pearls around to evenly cover the gumpaste and gently press them into the gumpaste to form your blackberry to the desired shape. ​And to give the blackberries a nice shine and to protect the color on them, they can either be brushed with the high-gloss corn syrup and vodka mixture (add a little vodka to corn syrup to make the corn syrup a good consistency for painting, stir and then paint directly onto the blackberry. Set aside to dry). Or the blackberries can be sprayed with an edible shine spray... such as Dinkydoodle's shell and shine, or PME glaze spray. And there you have it! 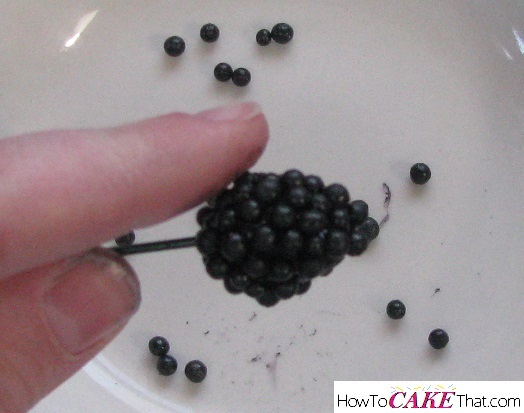 A very realistic blackberry made from just a few simple ingredients and supplies! Perfect for cake decorating, food styling, or wherever you need a long-lasting edible decoration! I hope you've enjoyed this tutorial! God bless!